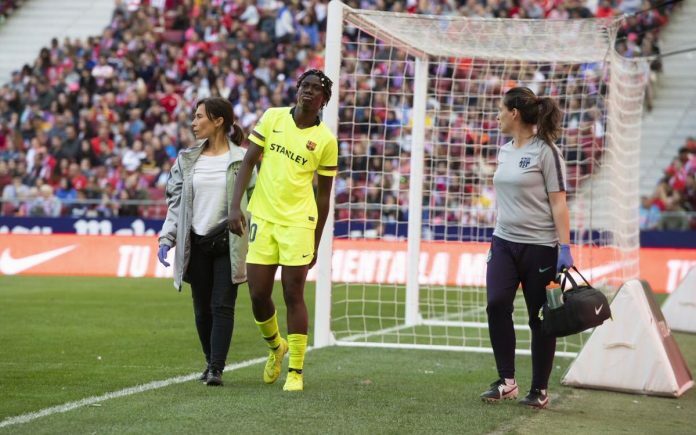 Barcelona Femeni of Spain attacker, Asisat Oshoala has admitted she copped a knock during last weekend’s historic game against Atletico Madrid Ladies, in which she scored another break taking goal. 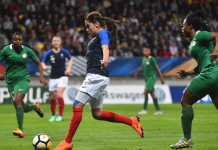 Oshoala’s latest goal came on an evening the match broke all existing records of crowd attendance at a female football game, but the Super Falcons’ star is sad she ended up with a knock. Oshoala made hay in front of a crowd of 60,739 watched Barca beat Atleti 2-0 at the Wanda Metropolitano – a record for a top-flight domestic women’s game in Europe. Oshoala scored Barcelona’s opener and England’s Toni Duggan netted the second in the Liga Femenina win, in a game that beat the previous record was held by Athletic Bilbao when 48,121 attended their Cup game against Atletico at the San Mames Stadium in January. In May 2018, a bumper crowd of 45,423 packed out Wembley Stadium to watch Chelsea defeat London rivals Arsenal 3-1 to win the FA Cup for the second time, the largest crowd for a domestic women’s game in England in the modern era. 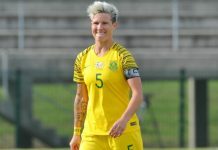 The outright record attendance for a women’s game is 90,185 at the 1999 World Cup Final between the USA and China, held at the Rose Bowl in California. The largest crowd to watch a WSL game in England is 5,052 when Arsenal and Chelsea met at the Emirates in April 2012, while just over 80,000 watched the 2012 women’s Olympic final between the USA and Japan at Wembley. 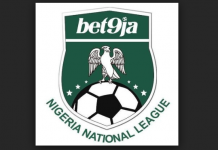 Second-placed Barca are now within three points of the female league leaders, Atletico, but Oshoala hopes to get back qucik in order to help her team climb top of the log. 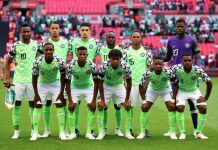 Although she took to Twitter to confirm the injury, Oshoala added that she is staying optimistic of her chances of making a speedy recovery and storm back even better.